Fujifilm’s mirrorless camera systems have come on strong, with models like the X-T2 and X-Pro2 garnering serious followings among photography enthusiasts. Below we break down the top prime and zoom lens options for Fujifilm X Mount from wide angle and portrait to telephoto. Fujifilm’s primes are particularly strong, but the lineup as a whole boasts impressive sharpness, lack of distortion, and build quality. For more background information, see our lens buying advice below the picks. What we like: Pro-grade optics at a reasonable price. What we don’t: You can go faster with the f/1.4 version below. Fujifilm is best known for street photography and portraiture, and particularly for its prime lenses, so it should come as no surprise that the 35mm f/2 is at the top of this list. With a 53mm equivalent, this lightweight lens offers excellent sharpness and low light performance at a reasonable price. If you’re in the market for an X-mount walk-around lens that can help take your photography to the next level, look no further. 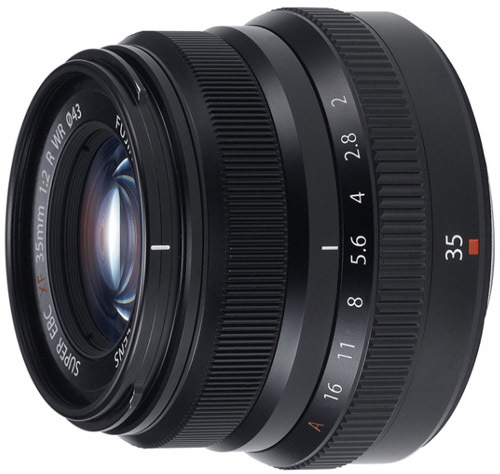 A more expensive option at this focal length range is the 35mm f/1.4 below. We like this lens, which offers a faster maximum aperture by one stop, but the higher price ($599) and heavier weight (10.3 ounces) tilted the scales in favor of the f/2. Grab the f/1.4 version if cost isn’t an issue or you’re a professional who depends on this focal length, but we think the 35mm f/2 is a great value. What we like: Great optics and faster autofocus than the f/1.4 version. What we don’t: A little narrow for portraits. The Fujifilm 23mm f/2 isn’t quite as versatile as the 35mm f/2 above, with a 35mm focal length equivalent that is a little narrow for portraiture. However, this prime lens has great optics and is ideal for street photography and travel: it’s lightweight, sharp, fast, focuses quickly, and even comes with weather sealing. That’s pretty much the whole package in our book. 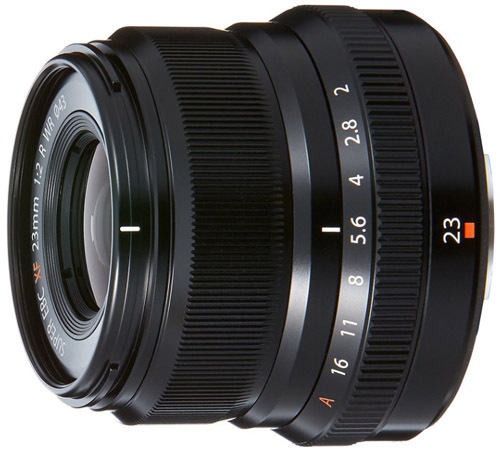 For professionals and enthusiasts who depend on this focal length, the pricier Fujifilm 23mm f/1.4 is one stop faster. It’s true that this lens will give you superior bokeh and depth of field, making a nice pairing for high-end Fujifilm cameras like the X-Pro2. But at more than double the price of the f/2 version and more than 4 ounces heavier, not to mention the slower autofocus, most people will find that the f/2 performs just fine. What we like: The top wide-angle zoom for Fujifilm. What we don’t: Pricey and not weather sealed. We wish there were more wide-angle options for Fujifilm X Mount, and an f/2.8 zoom doesn’t seem out of the realm of possibility. But that doesn’t stop the 10-24mm f/4 from being a fantastic lens overall. With a focal length equivalent of 15-36mm, it’s eerily similar to the 16-35mm full-frame lenses that are so popular among professionals. As we’ve come to expect from Fujifilm, this lens is super sharp, has minimal distortion, is well built, and comes with image stabilization to boot. If you shoot landscapes or other wide-angle shots on Fujifilm, this is your best bet. The biggest hurdle in choosing the Fujifilm 10-24mm f/4 is cost. Nearly $1,000 is a lot to spend for an f/4 lens that isn’t weather sealed, but again, wide-angle photographers don’t have a ton of X-Mount options. We do like the Fujifilm 14mm f/2.8 prime, but that lens costs nearly as much and is less versatile. If you’re really looking to save, the Rokinon 12mm f/2 below is a fun manual focus lens that gets your foot in the wide-angle door without breaking the bank. What we like: The fastest Fujifilm lens on the market. What we don’t: Heavy and autofocus could be better. Welcome to the fastest lens in the Fujifilm lineup. With a maximum aperture of f/1.2 and an 85mm focal length equivalent, this is the premier portrait lens for Fujifilm mirrorless cameras. Bokeh, depth of field, and color rendition are unparalleled in the X-Mount lineup, and the lens performs extremely well even when wide open. 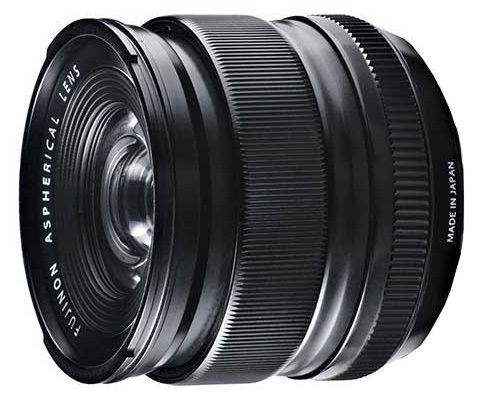 If you’re a serious portrait shooter with the budget, this is a must-have lens. Our only real complaint about the Fujifilm 56mm f/1.2 is autofocus. Fujifilm cameras have lagged behind Sony and others in this category in general, and this lens has a tendency to hunt on occasion (low contrast situations can cause the most problems). But we really are just nitpicking about an otherwise spectacular lens. What we like: Solid zoom range and good optics. There are a handful of telephoto options for Fujifilm, but our top all-around pick in this category is the 55-200mm. This lens has you covered up to an equivalent of 305mm and with very respectable maximum aperture of f/3.5-4.8 (for a telephoto zoom, that is). You also get good sharpness and image stabilization for hand-held photos in low light. This lens is more expensive than we would like and autofocus can be slow, but it still compliments the 18-55mm kit lens and other primes quite nicely. For those who only plan on shooting at the telephoto end of the spectrum on occasion, the Fujifilm 55-230mm f/4.5-6.7 is considerably lighter and cheaper, with the major sacrifice coming in speed. And serious telephoto enthusiasts should consider the 100-400mm f/4.5-5.6 below, which is out of reach cost-wise for most people but has the longest zoom range of any X-Mount lens by far. What we like: F/1.4 is a good place to be. What we don’t: Autofocus can be slow and a little loud. 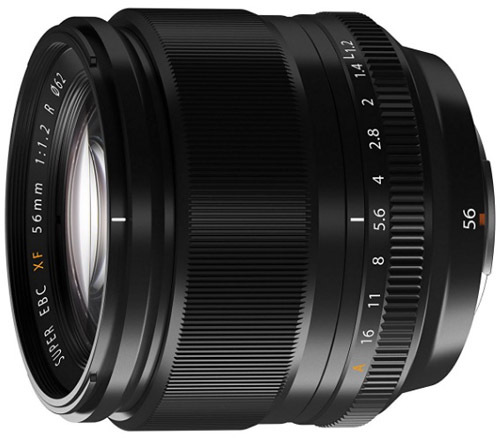 The Fujifilm 35mm f/1.4 is the second “nifty fifty” on this list, coming in at a very versatile 52.5mm equivalent. We considered ranking it above the f/2 version, which owns the top spot on the list, but there are a couple of reasons why we didn’t. The first is autofocus, which can be slow in certain light and is loud for a prime. The second is price, which is a significant $200 more. Both are quality lenses and you can’t wrong with either, but we think f/2 is fast enough for most people. However, for those who don’t plan on taking this lens off their camera much, it’s worth in investing in the Fujifilm 35mm f/1.4. This lens hits the mark on almost all fronts: it’s fast, sharp, and has excellent build quality. And this lens truly shines when natural light is low, making the f/1.4 the favorite among wedding and event photographers. What we like: An excellent value as part of a kit. What we don’t: For full MSRP, it can’t stand up to other lenses on this list. The Fujifilm 18-55mm f/2.8-4 is sold with cameras like the X-T2 and X-T20, but calling it a “kit” lens would be a disservice. Compared to other mostly plastic and rather marginal Nikon and Canon 18-55mm kit lenses, this Fujifilm is built better and far superior from an optical perspective. Not only do you get a relatively fast maximum aperture of f/2.8 at the wide end, this lens is crisp throughout the heart of its zoom range with minimal distortion. All things considered, how we feel about the Fujifilm 18-55mm f/2.8-4 directly correlates with the price for which you get it. As part of various Fujifilm kits, the lens is commonly available for $300 more than the cost of the camera body, which is a fantastic value. For its full MSRP of $699, it’s still a quality lens but not nearly as enticing. What we like: Very sharp and minimal distortion. What we don’t: Less versatility than the 10-24mm above. One of the great advantages of a mirrorless camera system is the compact size, and prime lenses almost always are smaller and lighter than zooms. The top wide-angle prime for Fujifilm X Mount is the 14mm f/2.8, which hits the sweet spot for landscape photography with a 21mm focal length equivalent. At 8.3 ounces, it’s substantially lighter than the 10-24mm above (14.5 ounces). And the lens does not disappoint from an image quality perspective with great sharpness, very little distortion, and solid low light performance. All things considered, we have the Fujifilm 14mm f/2.8 ranked here because we value the larger zoom range and increased versatility of the 10-24mm f/4 above. 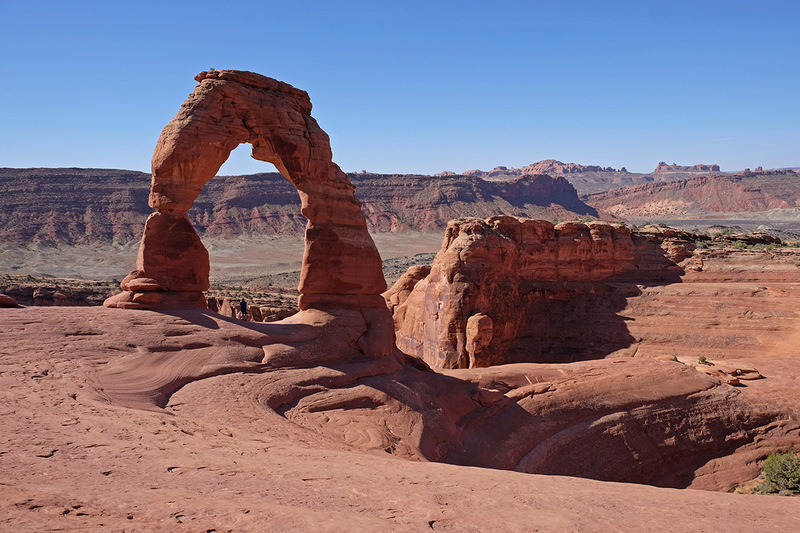 More, we’ve found that most wide-angle photos are taken in decent natural light, therefore the faster maximum aperture isn’t as important as it is with a portrait or travel lens. Both are good options, but at similar price points, we prefer the zoom. 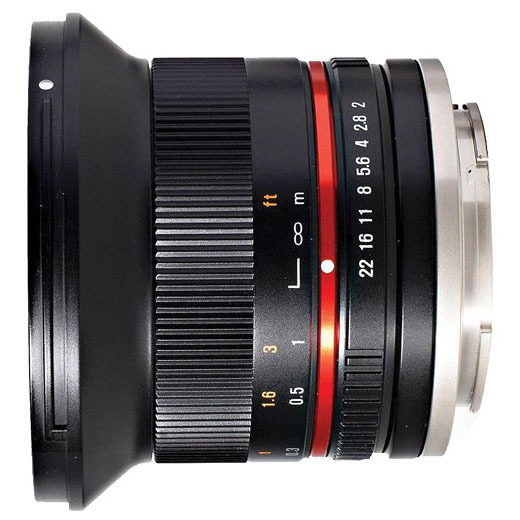 For a cheaper wide-angle prime, see the manual focus Rokinon 12mm f/2 below. What we like: The most versatile lens on this list and weather sealed. What we don’t: It’s hard to pass up all those great primes. 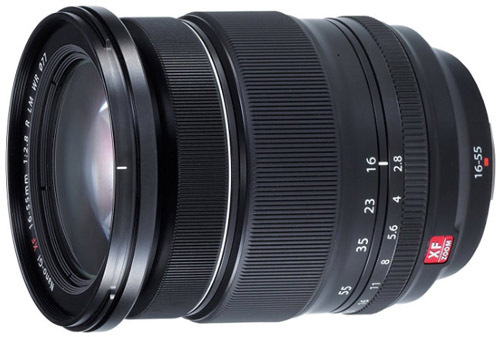 The 18-135mm f/3.5-5.6 is Fujifilm’s closest approximation of an all-in-one lens, covering you from wide angle to telephoto and everything in between. There are a lot of positives here: the lens is versatile, well built, weather sealed (the 18-55mm f/2.8-4 kit lens is not), and capable enough optically to keep most people happy. If you’re looking for a one-stop solution for your Fujifilm camera, this is it. However, it doesn’t feel right forgoing all of Fujifilm’s awesome prime lenses for an all-in-one. Many Fujifilm buyers are sticklers for image quality, perhaps even more so than the average Canon or Nikon APS-C buyer, and we always feel hesitant about recommending an all-in-one when specialty primes or zooms are superior. Grab the Fujifilm 18-135mm if simplicity and versatility are top priorities, but for most people we think it’s worth grabbing a couple of specialty lenses. What we like: Incredible reach and surprisingly good autofocus. What we don’t: Very heavy and expensive. The Fujifilm 100-400mm f/4.5-5.6 is not the most practical lens on this list, but it’s one of the most fun. With a jaw dropping focal length range equivalent to 150-600mm, you’ll get more reach than is available for just about any other APS-C system (Panasonic does have a 100-400mm for Micro Four Thirds, which has a 2x crop factor, but it’s not quite as good as this lens). For everything from wildlife photography to spots, this is the premier X-Mount telephoto lens on the market. The shortcomings of the Fujifilm 100-400mm are clear: it costs more than most Fujifilm cameras, and at over 3 pounds, renders the whole “compact” mirrorless camera system concept largely irrelevant. But we still give Fujifilm kudos for coming to the plate with this lens: the optics and autofocus are surprisingly good for such a long telephoto, including optical image stabilization. What we like: A pro-level mid-range zoom. What we don’t: Pricey, heavy, and no image stabilization. One of the sought-after lenses for working professionals is the 24-70mm f/2.8, which offers maximum versatility without compromising much in the way of optical performance. 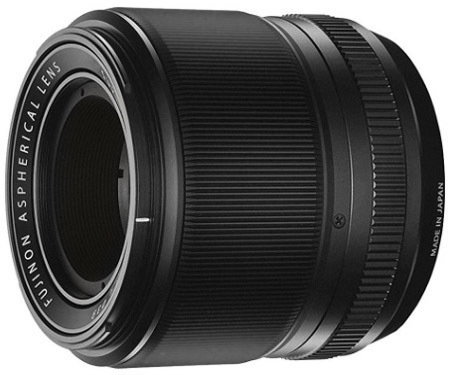 The 16-55mm f/2.8 is Fujifilm’s closest approximation of that, with a focal length equivalent of 24-82.5mm (even more reach than a 24-70mm). You can add this lens to just about any Fujifilm mirrorless camera and come away with great photos for everything from landscapes to portraits. There are a few reasons why the Fujifilm 16-55mm f/2.8 isn’t ranked higher. The first is weight: 23.1 ounces adds a whole lot of heft to a compact mirrorless camera. The second is the lack of image stabilization, which definitely would help in low light scenarios. Finally, Fujifilm has such strong prime offerings that it’s tough to forego them all in favor of one zoom. We don’t mean to take away from the quality of this lens—you likely won’t be disappointed with the photos—but there are a whole lot of lighter and less expensive primes above. What we like: Top-tier optical performance. What we don’t: We don’t love the focal length. We’ll start by saying that 24mm is not our favorite focal length. 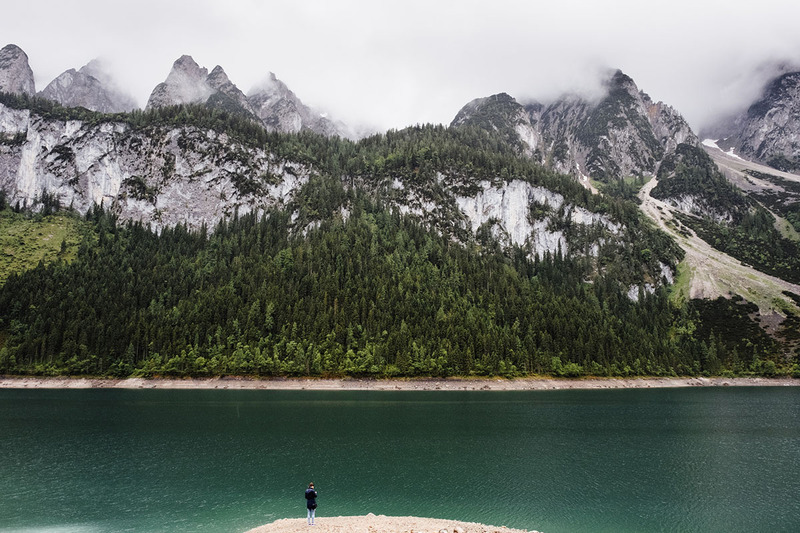 It’s a littler narrow for landscape photography—we prefer the 16mm to 21mm range for the outdoors. And street photography usually is best from around 35mm to 50mm. That makes the Fujifilm 16mm f/1.4 a bit of a tweener in terms of best uses. Focal length aside, this is one of Fujifilm’s best performing lenses. It’s extremely good in low light at f/1.4, can create excellent bokeh and depth of field, and is tack sharp with little distortion. We have no complaints with the image quality offered by this lens, and given that Fujifilm’s 14mm f/2.8 is two stops slower, it’s a viable wide-angle prime option for those who value the speed. What we like: Inexpensive for a wide-angle lens. Given the rather expensive wide-angle lens options above like the 10-14mm f/4 and 14mm f/2.8, we are thinking outside the box with the Rokinon 12mm f/2. This manual focus lens comes in a Fujifilm X Mount and is very reasonably priced at just under $400. Most impressive is its maximum aperture of f/2, which is terrific for astrophotography and other low light photography. Manual focusing may be a hurdle for some photographers (we found it to be a bit clunky on this lens), but we love the sharpness and build quality. For comparison, the Zeiss 12mm Touit has similar optics and is more than double the cost. Don’t expect this lens to match your Zeiss in terms of build or image quality, but it’s a fun lens and a good value. What we like: The fastest telephoto zoom on this list. What we don’t: Heavy and limited reach. We get toward the bottom of this list with another premium zoom, and one designed to loosely match the popular 70-200mm focal length range. With a constant maximum aperture of f/2.8, weather sealing, and image stabilization, this lens has you covered from medium telephoto onward. It doesn’t offer the same reach as the 55-200mm or 100-400mm lenses above for wildlife and other far-off photos, but the optical performance is superior in pretty much all aspects. The Fujifilm 50-140mm f/2.8 is the third telephoto lens listed here because of its limited focal length range. We appreciate the extra reach and lower weight of the 55-200mm f/3.5-4.8 despite the slower maximum aperture. And the 100-400mm f/4.5-5.6 offers such an outstanding zoom range that it’s hard to pass up for telephoto enthusiasts. But for portrait and travel photographers who want to cover this part of the focal length spectrum, the image quality is the best of the telephoto bunch. 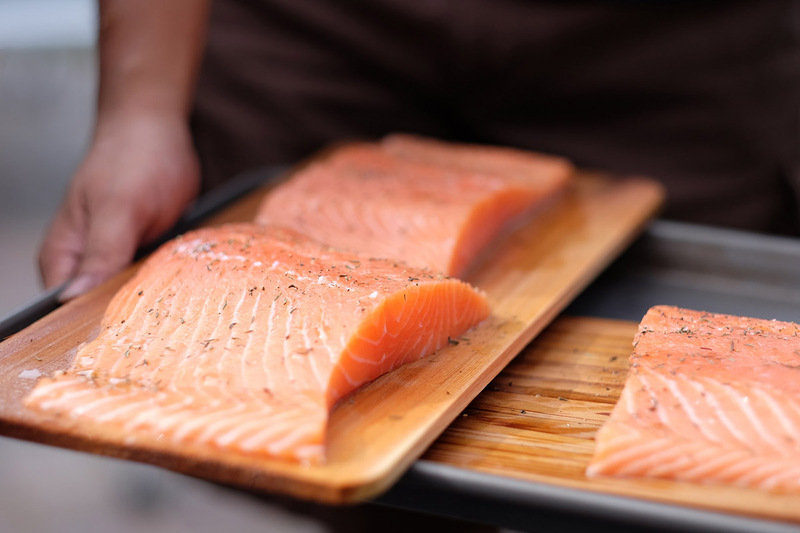 What we like: Sharp and well built. What we don’t: 1:2 magnification means that it isn’t truly a macro lens. The macro lens options for Fujifilm X Mount are scarce, so much so that it may scare serious macro photographers out of buying into the system. One decent option is the Fujifilm 60mm f/2.4, which hits a 90mm equivalent focal length. This lens is light at 7.6 ounces, sharp, focuses well, and has a quality Fujifilm build. Our main issue with this lens comes the “Macro” distinction itself: the lens only has a 1:2 magnification factor, while most true macro lenses are 1:1. Another option for Fujifilm X Mount is the Zeiss Touit 50mm f/2.8, which boasts 1:1 magnification but is rather pricey at around $1,000 and doesn’t get as close as we would like. These two “macro” lenses are okay, but we hope Fujifilm expands its macro lineup in the years to come. Throughout this article, we frequently reference a lens’s focal length equivalent, or crop factor. Fujifilm X-Mount cameras have a 1.5x crop factor, or more specifically, 1.52 or 1.53 depending on the varying math of Fujifilm’s website. This means that a 50mm X-Mount lens will behave like a 75mm lens would on a 35mm camera. The history behind crop factor is long, but what you need to know is that lens focal lengths are described using 35mm film as the reference point. Because the diagonal of the image sensor on Fujifilm X-Mount cameras is 1.5 times smaller than on a 35mm camera, you multiply the listed focal length of the lens by 1.5 to determine its equivalent. If you’ve used a full-frame camera or know the focal lengths, crop factor can be very helpful in choosing your X-Mount lenses. For example, the Fujifilm 10-24mm wide-angle lens is equivalent to 15-36mm on a full-frame camera, which actually is much more useful than the listed range. And the Fujifilm 100-400mm f/4.5-5.6 has a whopping 600mm of reach on your crop sensor camera. For clarity and ease of comparison, we’ve included 35mm focal length equivalent in the product specs. The prime vs. zoom debate is endless, and in reality, both can be good options. Prime lenses generally are lighter and superior from an optical perspective with better low light performance and less distortion, while zooms are much more versatile by covering a variety of focal lengths. It’s worth noting that camera manufacturers continue to focus on the quality of their zoom offerings, and many are now designed with enthusiasts and professionals in mind—especially zooms that are f/2.8 and faster. Fujifilm is unique with its focus on premium prime lenses. Many Fujifilm photographers trend toward being photography purists and place a premium on image and build quality, and the X-Mount offerings reflect that. This article is loaded with fast primes, and Fujifilm sharpness, color rendition, and lack of distortion truly are impressive. 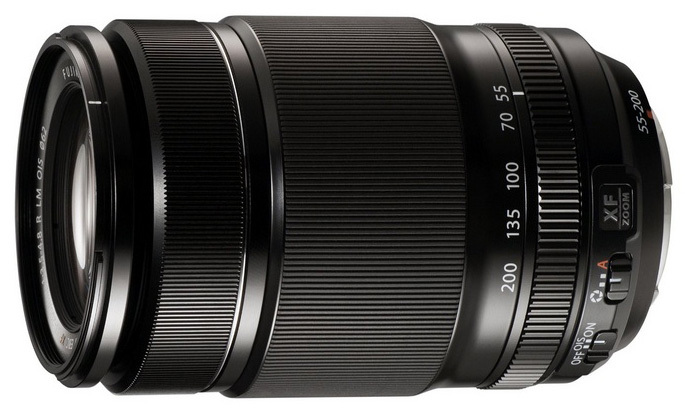 For these reasons, we have more prime lenses on this list than usual, and more toward the top. Many people choose mirrorless camera systems for their low weight, and therefore lens weight certainly is a consideration as well. 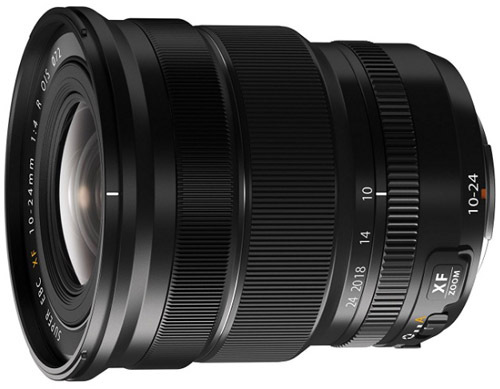 We’ve included the weight of each Fujifilm X-Mount lens in the product specs, which range from around 6 ounces for a number of the primes to over 40 ounces for the massive 100-400mm telephoto zoom. To be sure, if keeping a low weight and profile to your camera set-up is important, grab a prime lens or two. Fujifilm excels with this lens type in the first place, so you’re not making any compromises in terms of image quality. And with a small prime the camera will be easy to carry in one hand and look more unassuming for travel. Zooms generally are heavier, although Fujifilm mirrorless lenses still weigh less than most comparable DSLR lenses. Fujifilm lenses are not for the meager. You can easily find Sony E-Mount lenses or Micro Four Thirds lenses for considerably less than X Mount, but you usually get what you pay for in the photography world. Fujifilm lenses are extremely well built, often with metal components instead of plastic, and often made in Japan. Distortion is low compared to other brands and sharpness is high. Think of it this way: Fujifilm doesn’t really make low quality lenses and sticks only to the mid-range and high-end. One of the best values on this list is the Fujifilm 18-55mm f/2.8-4, which is offered in kits for $300 more than the camera body. In terms of primes, the f/2 versions are substantially cheaper than the f/1.4s, but f/2 is pretty darn fast to begin with. In short, Fujifilm likely isn’t the best option for people on a tight budget—you can get an inexpensive Micro Four Thirds camera for much less than anything from Fujifilm—but you’re certainly getting something back for your investment. Many of Fujifilm’s high-end and mid-range mirrorless cameras like the X-T2 and X-Pro2 are weather resistant, meaning that the joints and button areas are covered and sealed with rubber to reduce exposure to moisture and dust. Similar protection can be extended to lenses too, and Fujifilm has added weather sealing to 8 of its lenses as of 2017. Among them are our top two choices, the 23mm f/2 and 35mm f/2, along with a handful of other high-end primes and zooms. Weather sealing matters if your camera and lens will be exposed to the elements for extended periods of time. Water and dust certainly can make their way into your electronics and be devastating from a cost perspective if the gear is damaged. 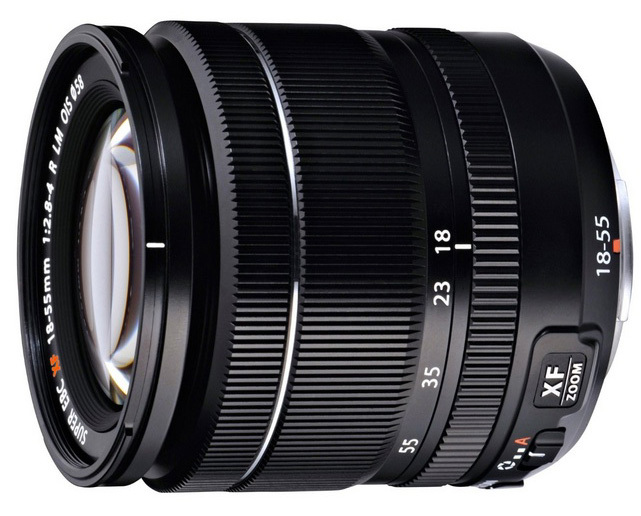 Both Fujifilm’s 16-55mm f/2.8 and 55-140mm f/2.8 are weather sealed, as is the 18-135mm f/3.5-5.6. As outdoor photographers, we would love to see some Fujifilm wide-angle lenses receive weather sealing, but currently none aside from the 16mm f/1.4 are. 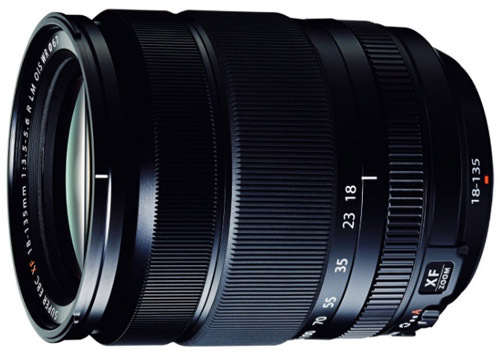 Many of our lens articles have prominent representation from third-party lens manufacturers like Sigma and Tamron, but not so with Fujifilm. In reality, there are surprisingly few third-party options for X Mount. This may be because the system is relatively new or that Fujifilm’s native offerings are super strong, but there just weren’t many third-party options to consider or include. This may change in the coming years. 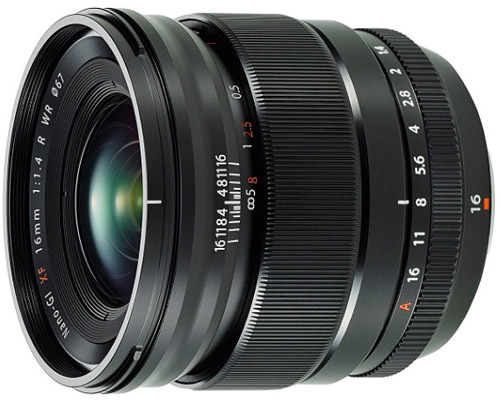 We do have the Rokinon 12mm f/2 on this list, which is a fun manual focus alternative to the pricier wide-angle options. In addition, Zeiss has released a “Touit” line of prime lenses with both Fujifilm and Sony mounts that are intriguing, including the Zeiss Touit 12mm f/2.8, 32mm f/1.8, and 50mm f/2.8. We like those lenses and are huge fans of Zeiss in general, but none were strong enough given their high costs to usurp Fujifilm’s native offerings. If you have a collection of lenses from Canon, Nikon, or Leica and are making the switch over to Fujifilm mirrorless, buying an adapter can be an attractive option. There are a range of adapters to choose from, including the Fotodiox Canon EF/EF-S to Fujifilm X Mount and Nikon to Fujifilm X Mount. 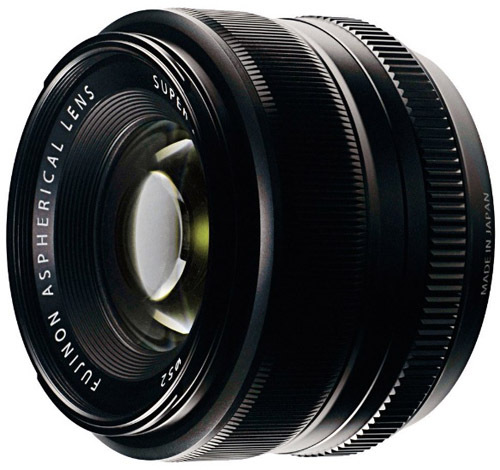 Keep in mind that in general, lens adapters may not connect as well to the camera’s autofocusing system as lenses made by the manufacturer itself. Given the cost and technical difficulties of adapters, we tend to think of them more for pricey full-frame lenses than crop sensor models. In addition, the weight and bulk of many DSLR lenses will be noticeable on a small mirrorless camera. Most lenses should be useable, but they are larger in size than lenses built specifically for mirrorless.